The grass is always greener on the other side; that’s a given. In the employee benefits world, though, even an age-old adage raises questions. In this case: Is the grass legal, and do employers have the right policies in place to address it? Canada legalized medical marijuana in 2001, but the legal landscape for employers continues to shift as the industry evolves. On April 13, 2017 the federal government introduced legislation to legalize recreational marijuana on or before July 1, 2018. 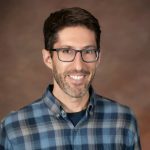 Cascadden noted that the legalization of marijuana, both for medical and recreational purposes, does not mean employees have a right to use the drug as they please in the office or on worksites. 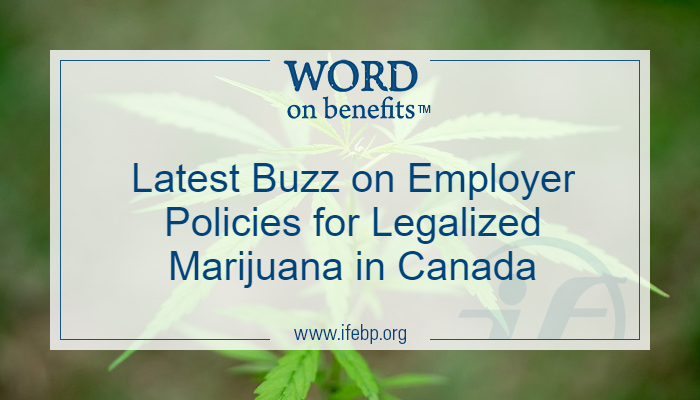 Employers retain the right to restrict usage, much as alcohol is restricted, and should treat marijuana in the workplace in the same manner as they treat other substances that can impair users. Cascadden outlined some steps employers can take. Prepare for the legalization of recreational marijuana. Cascadden cited data from other jurisdictions that have legalized recreational marijuana, including data from Colorado and Washington in the United States, to suggest that the number of users may not increase with legalization. However, he added that employees may be more open about drug usage or feel greater entitlement to use drugs in the workplace. Modify existing policies regarding marijuana. Even when marijuana becomes legal for recreational purposes, it still can be deemed impermissible in the workplace. Policies should address medical and recreational marijuana usage by employees, disclosure of usage and the need for a prescription, among other issues. Create a signed agreement. Employees should sign an agreement that designates office rules on drugs and alcohol, including any prohibitions on possession or usage in the workplace, as well as consequences for employees who do not adhere to the rules. Address all impairing substances, including legal, illegal and prescription drugs. Outline policies on testing and the implications of a positive test. Testing remains the biggest wildcard, Cascadden said. For alcohol, a breathalyzer test can determine the amount of impairment. For marijuana, however, current tests can determine if the active ingredient tetrahydrocannabinol (THC) is in the system but cannot tell if a person is impaired or provide a level of impairment. Cascadden noted that it also is important to consult human rights laws and privacy laws when creating a testing policy. Be aware of potential provincial differences. The legal drinking age for alcohol is 18 years old in Alberta, Manitoba and Quebec but 19 elsewhere in Canada. It is possible that laws regarding marijuana also will vary by province. For employers with workplaces in multiple provinces, it will be important to stay informed of provincial differences. Communicate clear policies to employees and supervisors. Cascadden strongly recommends that employers communicate a rationale for their policies. Even if a blanket prohibition is legal, policies that are backed by explanations are likely to be more effective and be viewed more favorably by employees and courts. To view the full webcast “The Workplace Impact of the Legalization of Marijuana in Canada,” click here.